Georgiabeee: Kukee Giveaway Winner and Money off Voucher! Thank you all so much for entering the Kukee Giveaway! The winner is Leah McMurdock! 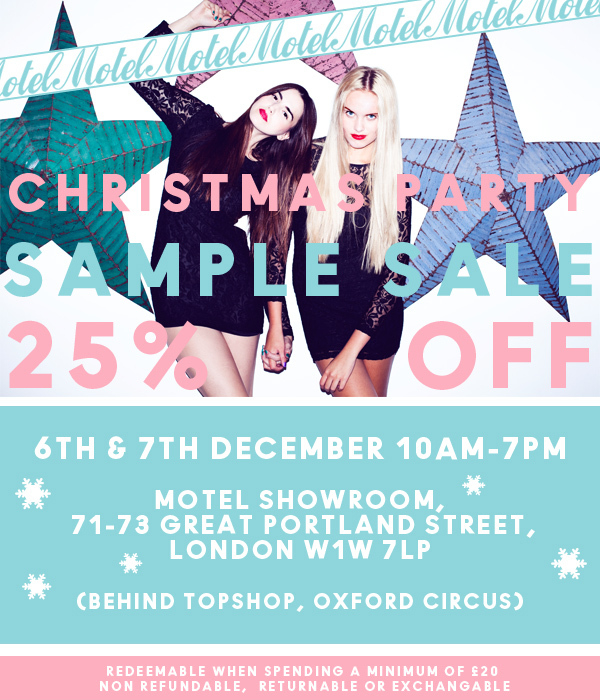 Also, I was sent an email about the Motel Christmas Sample Sale at their London showroom on Thursday 6th and Friday 7th December and so wanted to go but unfortunatley I'm not around :( There will be 90% off samples, with some things starting at £3!! 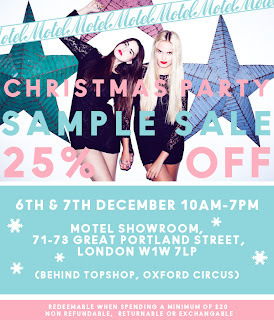 So, please, for me, if you can make it go along and snap up some bargains! They also sent me a 25% off voucher for you all that you can print and get even more money off! I LOVE your blog and I'm definitely your newest follower! Do you think you could check mine out and follow back please?